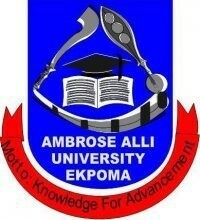 LATEST information reaching us here at nigeriaschool.com.ng has it that the management of Ambrose Alli University (AAU), Ekpoma has released the Second Batch UTME and Direct Entry Admission List of admitted candidates for the 2018/2019 academic session. The Ambrose Alli University, AAU 2nd Batch Admission List for 2018/2019 session (UTME & DE) has NOT been published on the college’s portal for checking. Therefore, candidates are to visit the AAU portal to check their admission status. Click on the “Submit” button and your admission status will be displayed on your computer screen.